Ioncell is first and foremost a research project. Our researchers from Aalto University and the University of Helsinki have been developing the Ioncell technology for nearly ten years. We are always open for new research proposals and collaborations so don't hesitate to tell us about your idea! The Ioncell process utilizes a solvent called ionic liquid to dissolve cellulose. In the dissolved state, cellulose can be transformed into beautiful, strong fibers using the dry-jet wet spinning technology. The only chemicals applied are the non-toxic ionic liquid and water. They are both re-circulated in the process in a closed loop. Ioncell fibers feel soft and are strong even when wet. The fiber properties of Ioncell are equal or better than viscose and Tencel® fibers. Because of their high tenacity, Ioncell fibers are optimal in technical applications such as composites. Interested in making these numbers bigger? 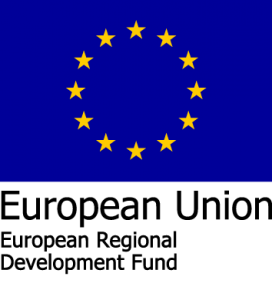 Description: Trash-2-Cash is an EU funded research project that aims at creating new regenerated fibres from pre-consumer and post-consumer waste. It also pioneers a whole new way of developing materials. Read more at the project’s website. Description: The main requirement for the scale-up of the Ioncell technology is to create a closed-loop process where the solvent is recovered and reused. 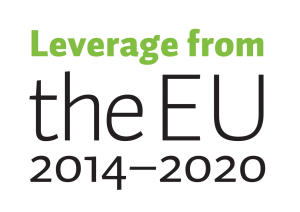 So far there are no available technologies for recycling ionic liquids since they are a new group of solvents – and this is what the SolvRec project is trying to solve. The consortium consists of Aalto University, the University of Helsinki (UH) and the Lappeenranta University of Technology (LUT). Description: iCom stands for Ioncell Commercialization. The objective of iCom is to develop and create a commercialization strategy for Ioncell as well as focus on the technical development towards the scale-up of the technology. To learn more, please see Ioncell's Commercialization page. Description: Piloting is a crucial step in taking a new technology towards industrial scale manufacturing. Aalto University and VTT are focusing on the piloting of Finnish textile fiber technologies (carbamate, BioCelSol and Ioncell) in their joint TeKiDe project. VTT will perform pilot runs at Bioruukki piloting centre in Espoo. Within the project Aalto University prepares for the scale-up of the Ioncell-F process. Description: The project aims at the development of sustainable methods for fibre surface modification. This includes nanocelluloses but also on regenerated cellulose fibres or pulp itself. Novel low-cost click modification approaches will be tested for addition of surface functionality and fibre cross-linking to allow for more control over the physiochemical and mechanical properties of the fibres or other regenerated celluloses. There is a strong emphasis on development of novel ionic liquid-based modification routes but also ionic liquid-based liquid-state analytics, i.e. NMR based, that are lacking for analysis of poorly-soluble (crystalline) celluloses. Description: Carbon fibers and composites are extremely strong and lightweight materials. They have many applications in for example replacing heavy structural parts in airplanes or spacecrafts. So far the high price of carbon fibers has prevented a more wide-spread use. This project aims at producing fully bio-based carbon fibers from wood-derived biopolymers in order to replace the expensive synthetic polymer PAN (polyacrylonitrile). High performance composite fibers comprising cellulose, hemicellulose and lignin are spun through the Ioncell-F technology to yield endless filaments of the highest uniformity and pronounced lateral polymer orientation in the fiber matrix. The filaments are converted to carbon fibers in collaboration with Deakin University and Carbon Nexus research facility in Australia. The pyrolysis reactions and structure transformation of the precursor filaments are studied with for example STA-FTIR/MS, Raman spectroscopy and X-ray scattering techniques to elucidate the carbonization and graphitization mechanisms of a multi-component polymer matrix. Team: Michael Hummel (PI), Daisuke Sawada (postdoctoral researcher), Mikaela Trogen (PhD candidate), Hilda Zahra (PhD candidate). Asaadi, S.; Hummel, M.; Ahvenainen, P.; Gubitosi, M.; Olsson, U.; Sixta, H. (2018): Structural analysis of Ioncell-F fibres from birch wood. Carbohydrate Polymers, accepted. Ma, Y.; Hummel, M.; Määttänen, M.; Särkilahti, A.; Harlin, A.; Sixta, H. (2016): Upcycling of waste paper and cardboard to textiles, Green Chemistry, 18 (3): 858–866. Hummel, M.; Michud, A.; Asaadi, S.; Ma, Y.; Sixta, H.; Tanttu, M.; Netti, E. (2015): High-tenacity textile cellulose fibers from ionic liquid solutions. Chemical Fibers International, 65 (2): 105–107. Wawro D.; Steplewski, W.; Madaj, W.; Michud, A.; Hummel, M.; Sixta, H. (2015): Impact of water in the casting of cellulosic film from ionic liquid solutions. Fiber&Textiles in Eastern Europe, 23(4): 25–32. Wawro, D.; Hummel, M.; Michud, A.; Sixta, H. (2014): Strong cellulose film cast from ionic liquid solutions. Fibres&Textiles in Eastern Europe, 22(3), 35–42. Ioncell is part of Aalto University's campaign that brings prominent research projects into the limelight. 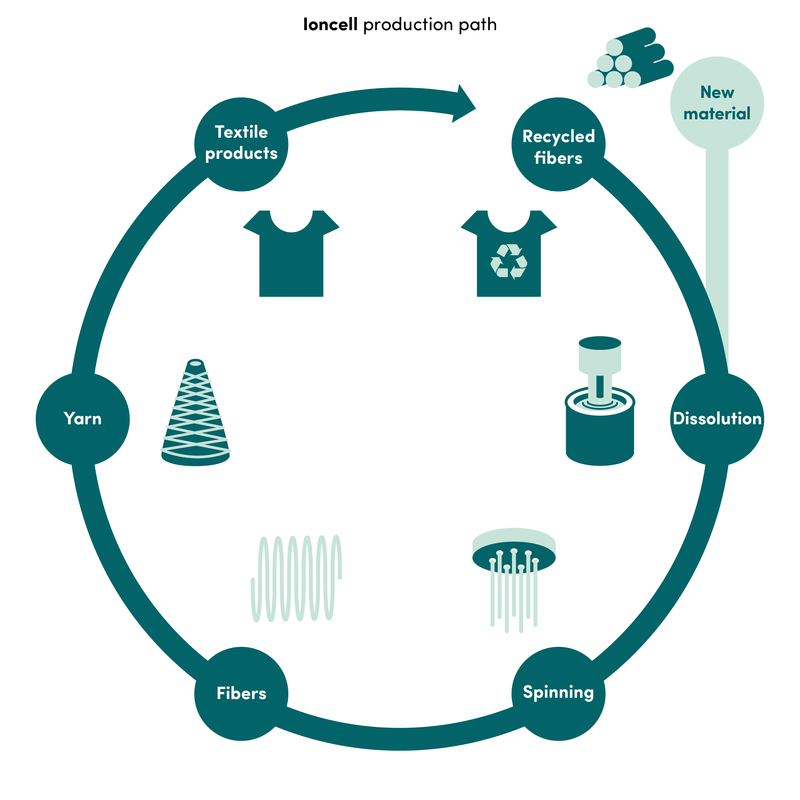 Could Ioncell be the savior of the current textile industry? Take a look!